Tourism is one of Nigeria's ‘biggest gold mines’ and ‘over-flowing oil wells’ that can never run dry. There is a poor conservation culture of our tourism resources but we can preserve and harness our tourism resources to help boost both domestic and international travel in Nigeria. What is Sustainable Tourism? It is the concept of visiting a place as a tourist and trying to make a positive impact on the environment, economy and society. To promote the preservation of our cultural heritage, historical sites and natural resources, there is a need for both locals and visitors to under the need and benefits of practicing Sustainable Tourism in Nigeria. 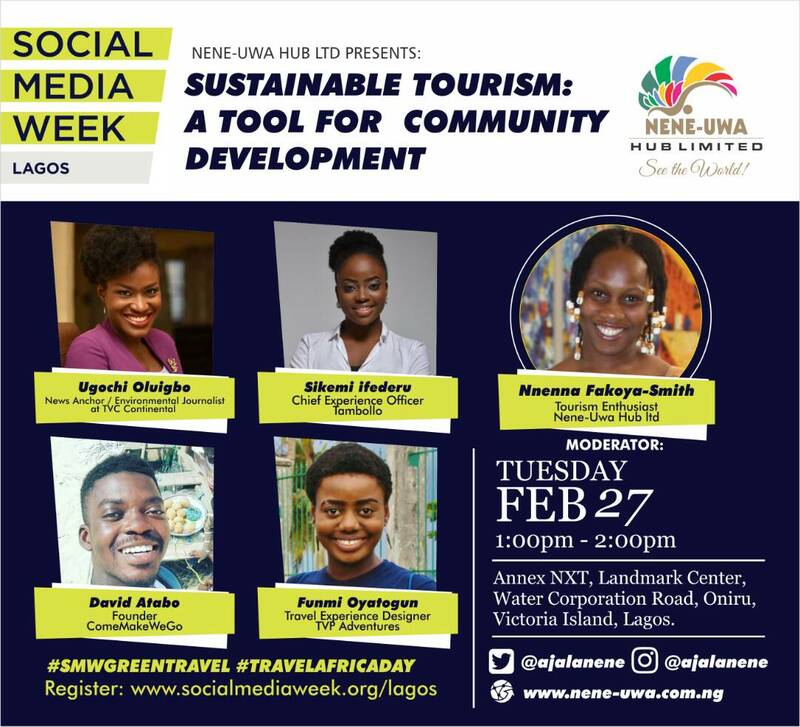 Sustainable Tourism: A Tool For Community Development is a panel that seeks to educate travelers on how to be “Responsible Travelers” by using tourism activities as a tool for developing the economy, society and environment. Panelist will share stories about using social media to make an impact in their communities through tourism.